Sometimes there is a requirement to set the default value to an enum combo box on the form design. 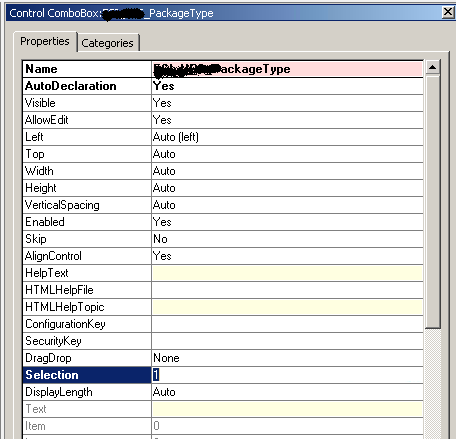 This can be easily achieved by setting the selection property of the combo box to the value of the desired enum element. It doesn’t require any code to be written. This will show up the control value selected by default to the enum element required.